An elegant solution for DJs who want a full mixer without the fluff. © 2018 Perfect Circuit. If you experience a problem with a unit:do not attempt to open or repair the unit yourself. We are happy to assist! 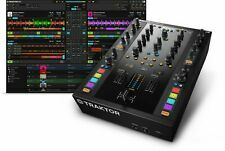 Traktor Kontrol Z2 by Native Instruments (NI). 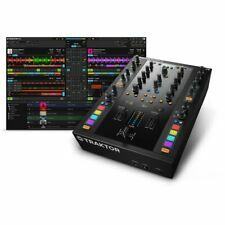 TRAKTOR SCRATCH PRO 2 software with Remix Deck technology. Item model number: 22140. 24 hours. If this invoice is not paid within 24 hours, the item will be cancelled. Connect your turntable or CD deck, ultra-compact devices works seamlessly with the Trakor DJ and Traktor PRO 2. It features a two-channel mixer with 3-band EQ and built-in 24-bit soundcard and an audio interface. Portable DJ mixer includes USB cable. Traktor Z2 mixer in good condition as pictured. Great mixer with a few upgrades. All-new Macro FX and Flux Mode in the latest TRAKTOR software expand your creative arsenal. 9am-6pm, Mon-Sat. I'm upgrading to a different mixer and no longer need it. The mixer is like "new" and everything works perfectly. 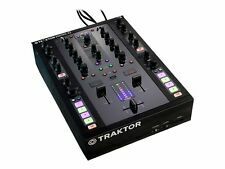 NI TRAKTOR KONTROL Z2 MIXER which has Less than 10 hours in total. 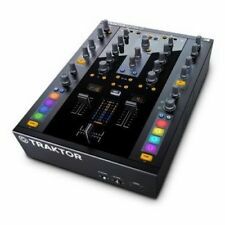 NI TRAKTOR KONTROL Z2 MIXER. TRAKTOR SOFTWARE SERIAL NUMBERS (I HAVE UNINSTALLED). NEW RRP £479. POWER CABLE.